With using an indoor or outdoor HDTV dish network, USB TV tuner allows users to capture free HDTV channels or broadcast radio programmers. This USB TV box often can receive the satellite signal and connect to a free USB slot on your personal computer. In other word, you can watch the HDTV on your computer, Once those signals are captured, software that comes bundle with this TV Tuner is then used to view, record and time –shirt the HDTV channels. Even you are working in your office; you would never miss your favorite sport competition. This UBS TV box typically includes an Electronic Programming Guide for scheduling TV shows to record in advance using the Internet. Now today we would like to introduce top 4 picks for this fantastic USB TV Tuner. 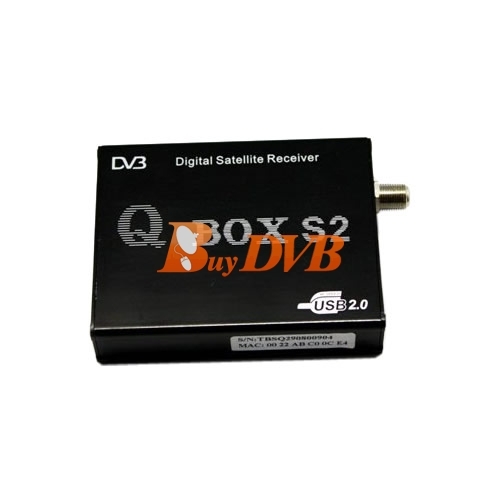 TBS Q-Box III is the 3rd generation digital satellite USB box upgrading from TBS Q-Box II, which is the best DVB S2 receiver in digital TV industries. The main feature of this USB TV tuner is blind scan function. It is the newest TBS technology in this field. It supports both DVB-S2 and DVB-S programs receiving. It’s a mini metal box for watching and recording digital satellite TV on computer. The connection between Q-Box III and computer is USB cable. Q-Box III uses computer CPU for MPEG2 or H.264 MPEG4 decoding. Driver and DVB softwares have to be installed before using. It’s compliant with Windows 2000/XP/Vista and Linux Ubuntu/Fedora. Q-Box III can be used for one way internet via satellite or satellite data download. It’s supported by most popular DVB softwares like ProgDVB, DVBDream,AltDVB, Skynet, Skygrabber, TSreader. The TV Wonder HD 600 PCI Express high-definition DVR offers the ability to record HDTV (ATSC) signals, as well as NTSC signals. Attach an amplified high definition antenna or your TV cable and you can watch, pause or record analog and digital live HDTV on your PC or convert your recorded TV shows to take with you on your Portable Media Player. With the KWorld ATSC 300U USB device you can enjoy watching and recording HDTV (ATSC) and Analog TV (NTSC) on your desktop or laptop. The ATSC 300U includes a multi-function TotalMedia application and includes an Infrared Remote Control. With the TotalMedia Time-Shifting program, you can Pause Live TV and resume playback from where you left off. Free HDTV with the included indoor antenna.